Many may relate to the Carmichael family in their struggles when they find themselves stranded in the Colorado mountains after WW2 has ended. 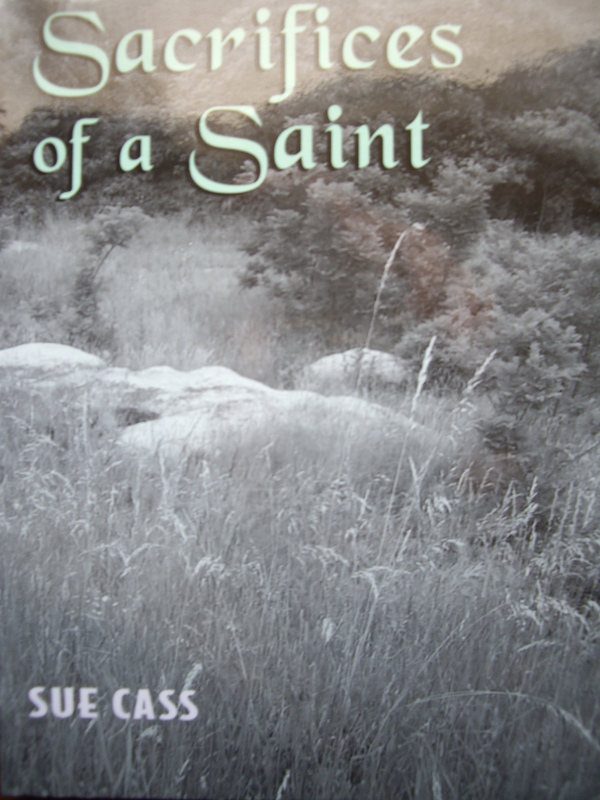 A true to life story of a Christian mother, atheist father, and their 3 children. 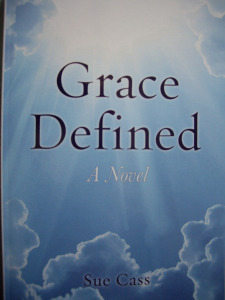 “GRACE DEFINED” will keep you turning the pages to see what happens next. This is my newly released novel. Have you ever felt like someone was watching you and yet when you turn to look there’s no one there? 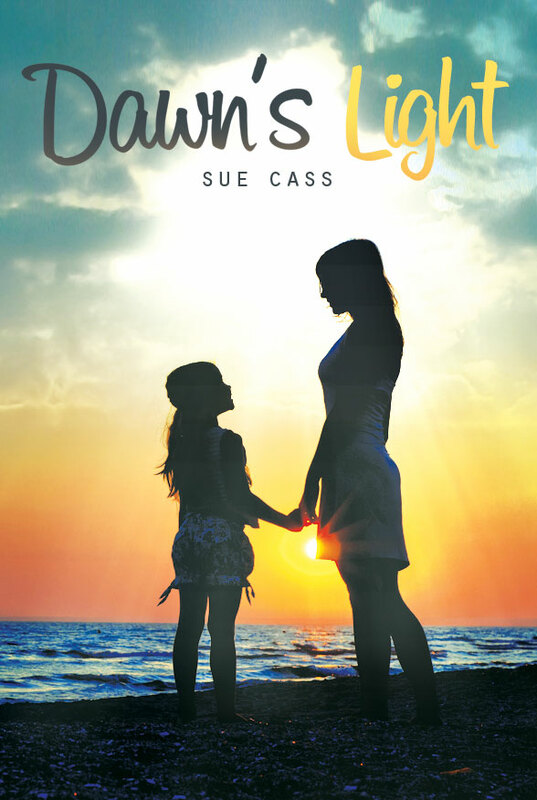 “DAWNS LIGHT” will keep you on the edge of your seat as a newly widowed Mom and her five year old daughter seek comfort and peace in a small Georgia beach town after the death of her military husband. 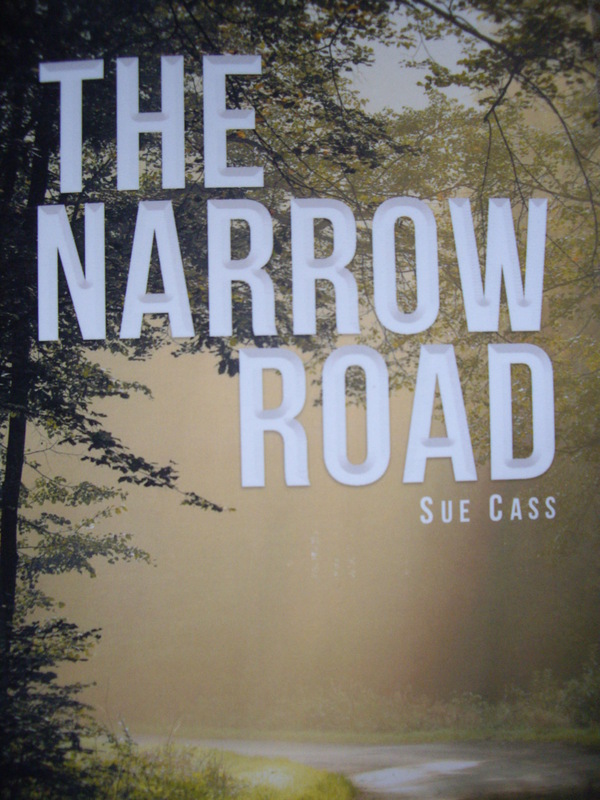 Be ready to gasp, cheer, and cling to the edge of your seat in this suspense-filled novel. 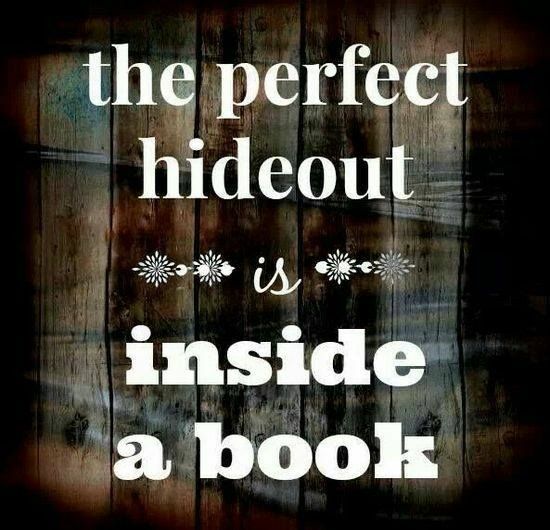 You won’t be able to put it down. The court room is packed as Chris stands before the jury convincing them that this man is guilty while her sister is sunning on the beach in California. These two sisters are ambitious and both have a heart for helping people but are as different as night and day. Enjoy a close, loving family as their lives intertwine with romance, intrigue, and exciting twists. A great sit back and relax summer read. 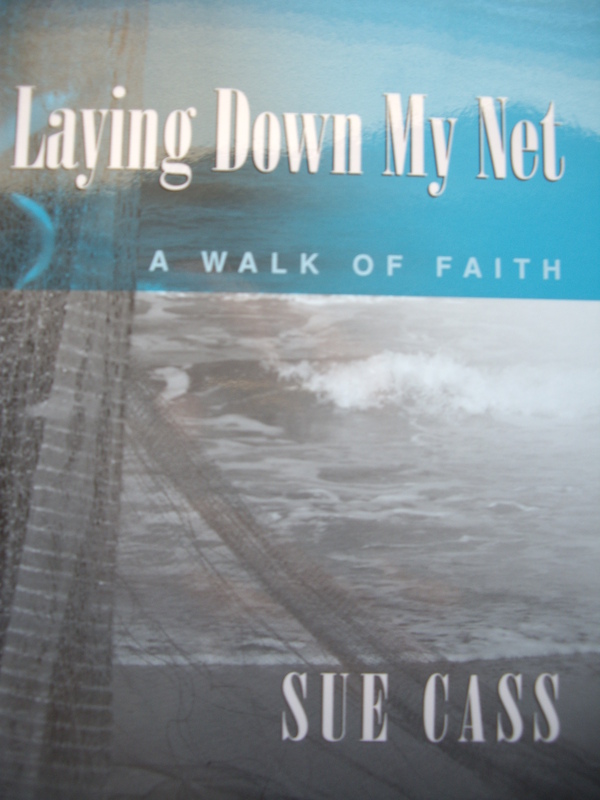 Take a sneak peek at my true story of learning to trust and obey God as He shows His faithfulness in every step of a five year journey in “SACRIFICES OF A SAINT” or get the nitty-gritty in the whole rest of the story in “LAYING DOWN MY NET – A WALK OF FAITH.” The transparency is almost too much for it gives my true picture of walking in blind faith. Have you read books that seems like the Lord is bopping you on the head with His message? 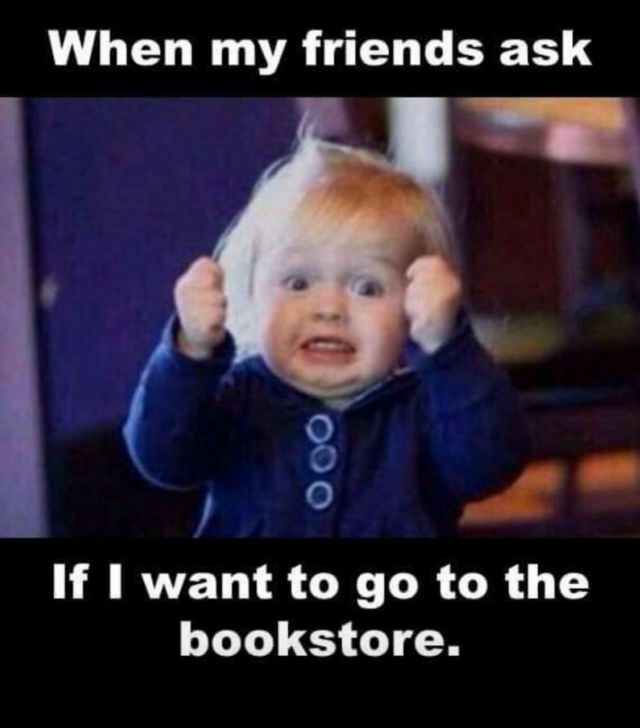 “SEEK MY FACE” is one of those books! Timely, thought-provoking, a thump on the head for non-believers to wake up along with encouragement for God’s children. His messages are given for times like this and we need to pay attention! A must read for Pastors and congregational believers as well as the lost. Better wear a helmet. ALL BOOK SALES SUPPORT ELAH MINISTRIES, INC. A MINISTRY OFFERING HOPE, HEALING, AND DELIVERANCE TO HURTING SOULS. 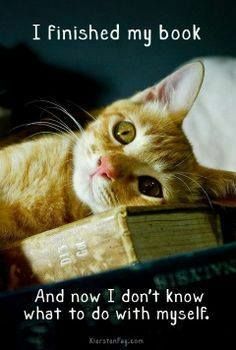 Happy reading and blessings to you. After Carla’s husband was killed in Iraq, Carla moves to Ivy, a small Georgia beach town, with her five-year old daughter. Hoping for a fresh start and healing of her heart, Carla and Missy enjoy their first few months playing in the waves, building sand castles, and their new home. Suddenly their world changes. Compelling. Suspenseful. Inspiring. A mixture of romance, intrigue, Christian values, and subtle tactics of Satan. A story that will keep you on the edge of your seat along with the cheers! 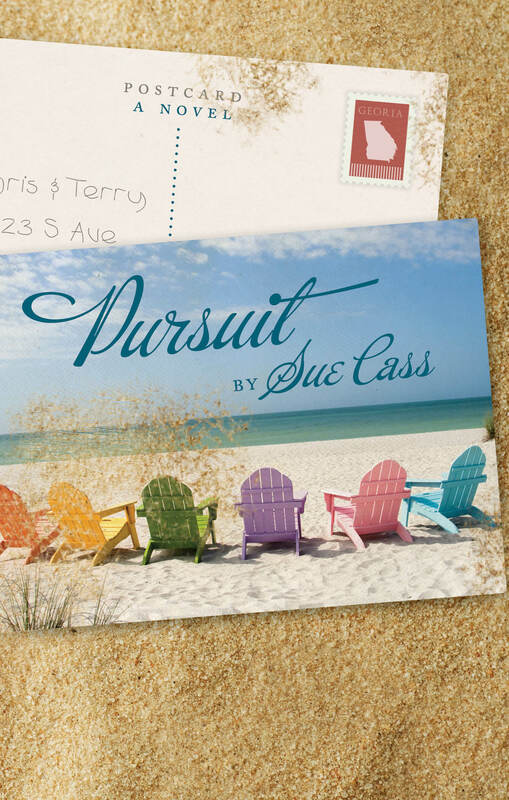 Chris is busy winning cases in Atlanta’s courtrooms while her sister, Teri enjoys beach life. Will either give up their careers to fulfil new dreams? Full of exciting twists, intrigue, heartwarming romance, and a strong sense of family. Like Abraham, the Lord suddenly tells Sue to “go to land I tell you.” From below zero temperatures to above one hundred degree desert air, and everything in between, God’s faithfulness fills the pages of Sue’s personal journey of learning to trust Christ and to be obedient to whatever He calls her to do and wherever He tells her to go. This is a journey you don’t want to miss! Unique in presentation, heartfelt, and inspirational. My story is a testimony of stepping out in faith and being obedient. It is so transparent that many Christians would hesitate to tell it. If you think following Christ is a smooth ride then join me on my roller coaster ride of learning to trust and obey our Mighty Savior, Jesus Christ. The truth about walking with the Lord, my truth that is, and the Lord sure proved faithful! Compelling, transparent, and heartfelt. A testimony of stepping out in faith, but not without frustrations! Hard hitting! Thought provoking! Compelling! Timely! Are you brave enough to look within your own beliefs? Be prepared to be confronted! www.elahministries.com (U.S.A. only) I have all books available and you’ll get an autographed copy. After Carla’s husband was killed in Iraq, Carla moves to Ivy, a small Georgia beach town, with her five year old daughter. Hoping for a fresh start and healing of her heart, Carla and Missy enjoy their first few months playing in the waves, building sand castles, and their new home. Suddenly Carla notices a stranger watching her daughter intently. Who is this person and what do they want with her daughter? Compelling. Suspenseful. Inspiring. A mixture of romance, intrigue, Christian values, and subtle tactics of Satan. A story that will keep you on the edge of your seat! Margaret and Clay have loved raising their two ambitious daughters in their home near Atlanta. The two sisters are as different as night and day. Chris is a force to be reckoned with in the courtrooms in Atlanta as a prosecuting attorney. Teri has taken a dream job in California. Both women have a heart for helping hurting people but in very different ways. 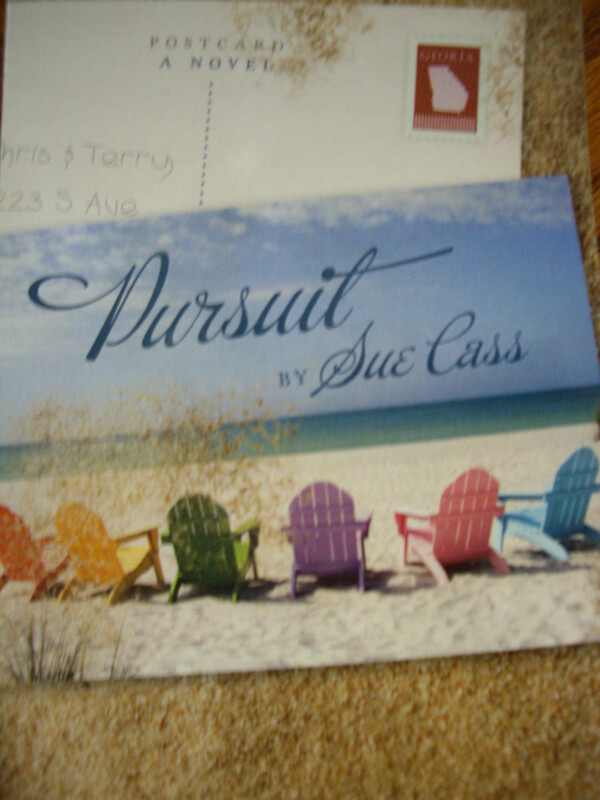 Chris is busy winning cases while Teri enjoys the beach life. Both women love their professions but begin to desire more than just their careers. Will Chris’s unspoken fears stand in her way of future happiness? Will Teri give up the dream job and beach life for something more? Full of exciting twists, intrigue, heartwarming romance, and a strong sense of family. Unique in presentation, heartfelt, and inspirational. My story is a testimony of faith and obedience and is so transparent that many Christians would not want to share. 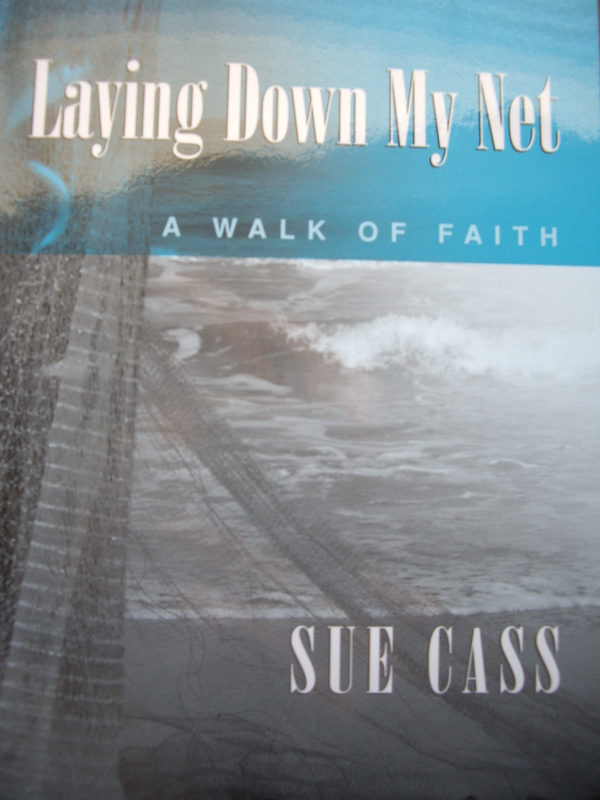 In her soul searching account Sue recounts her roller coaster ride to acceptance of Jesus Christ as her Savior. Her difficult journey begins with baptism-a comforting place to begin- but is shadowed by the trauma of childhood sexual abuse and later by the death of her husband. The Christian life, she discovers, is like a rose garden – beautiful in every way except for the thorns. On her way to the top of the mountain of salvation she learns to do battle with the tricks of Satan. Her growing relationship with Christ gives her strength through difficult times. The valleys stretch her spiritually, and finally she knows she can walk with Jesus Christ with new boldness and confidence. Compelling, transparent, and heartfelt. A testimony of faith and obedience. This book challenges us to look within. We all face consequences to every choice, action, and belief we have in our every day life. Those choices affect us not only on a personal level but will be passed down for generations. 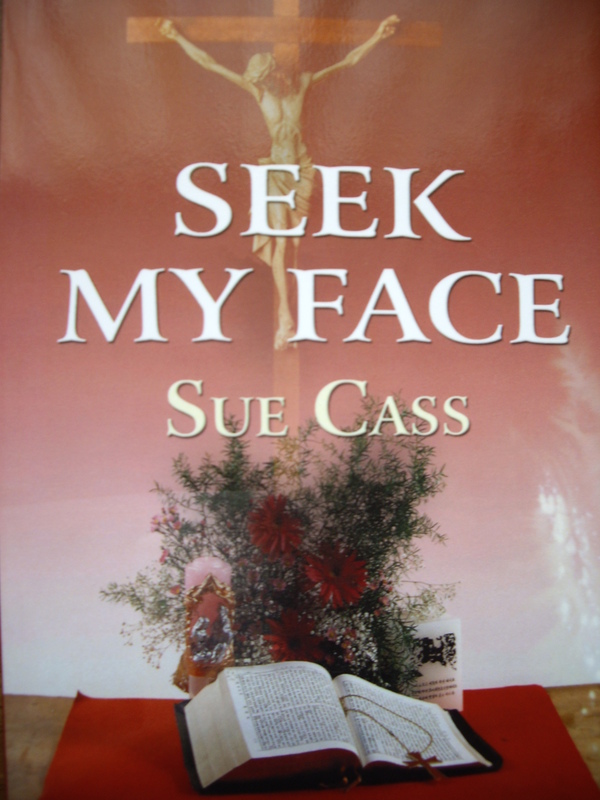 “Seek My Face” is thought provoking with encouragement to Christians and non-Christians. 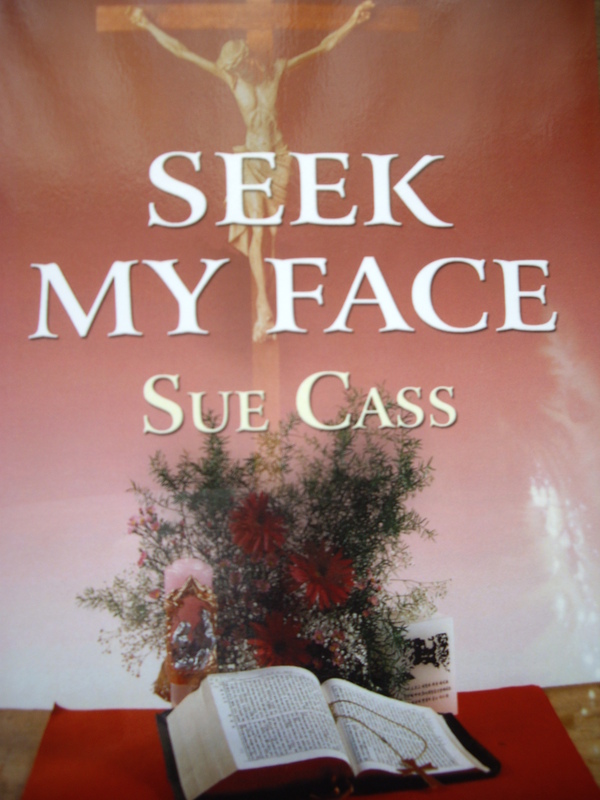 Sue invites us to take a journey of inner reflection hoping to reveal the truth about ourselves through the questions asked and the prophecies offered. Hard hitting! Thought provoking! Are you brave enough to look within your own beliefs? Be prepared to be confronted.